Fantastically located in the centre of St. Peter Port, The Old Government House is the only establishment in Guernsey to offer 5 star luxury including extensive Spa facilities. Fantastically located in the centre of St. Peter Port, The Old Government House is the only establishment in Guernsey to offer 5-star luxury. Its opulently decorated rooms, immaculate service and extensive facilities will be enjoyed by everyone from individual travellers to families. Affectionately known as the OGH, the building dates back to the 18th century when it was used as the Governor's home, and then as the headquarters for the German forces during the occupation. The hotel has been suitably modernised over the years and today offers luxurious rooms and suites, as well as relaxing spa facilities and an outdoor heated swimming pool. The OGH was chosen by the Queen in 1957 for lunch, a reminder of the Bailiwick of Guernsey's links with the Crown. There is a choice of classic double, Queen and King/Twin, Seaview King/Twin and Seaview King/Twin with balcony rooms. King Twin rooms are slightly larger rooms with seating areas. Two luxurious suites and an in-residence property are also on offer. All guest rooms are en-suite and individually decorated, and feature original artwork, luxury toiletries, complimentary mineral water, twice daily maid service, and free wired and wireless internet access. Some rooms are Business Ready with extra lighting, complimentary stationery and more facilities on request. The head chef at the OGH will always favour fresh Guernsey products when preparing his menus. The Brasserie is open for lunch and dinner, with seasonal menus to be enjoyed in the conservatory which features lovely garden and harbour views. A full English breakfast is available daily. Opens for lunch and dinner and serves irresistible authentic Indian cuisine. Fantastic al fresco dining anytime the sun is out. An afternoon tea menu is available from 2.30pm – 5.30pm. An ideal setting for luxurious relaxation, light bites and for drinks before or after your meal. The Centenary Bar offers an extensive bar & cocktail list. The in-house spa offers extensive facilities and a fantastic treatment list including tanning, massages, hot stone therapy, reflexology and Reiki. St. Peter Port is indisputably the most beautiful town in the Channel Islands. The cobbled streets lined with colourful buildings are a delight. Climb the steep hillside to be granted magnificent views of the picturesque harbour. The OGH is pleased to offer one full and one partly disabled room, and lift access throughout the hotel. Dogs are accepted in some bedrooms on a request basis at an additional charge (50% returnable deposit of the room price) and provided with a water bowl, bed and biscuit on arrival. Dogs are not permitted in the restaurant. Lovely hotel, brilliant service and great food. 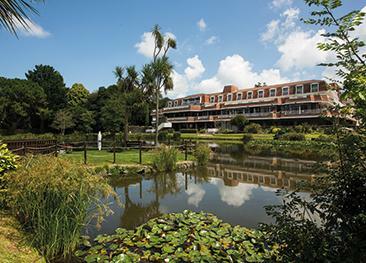 "Have just returned from our holiday in Guernsey at the OGH. From the moment of arrival, this was like finding 'a little bit of Heaven'. Excellent and friendly service throughout our stay .Enjoyed all the facilities which were clean and perfect.The only downside was that the room size was small! 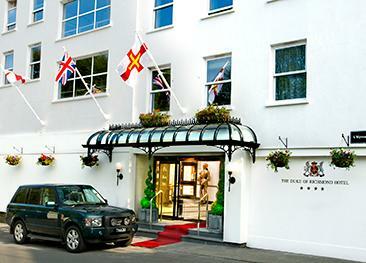 The Duke of Richmond is a 4 star hotel situated close to St. Peter Port town centre, featuring a large sun terrace, outdoor swimming pool and popular bar and restaurant. Set in a beautiful country location and overlooking the coast, the Fermain Valley Hotel could almost be called the Fermain “Bay” Hotel. 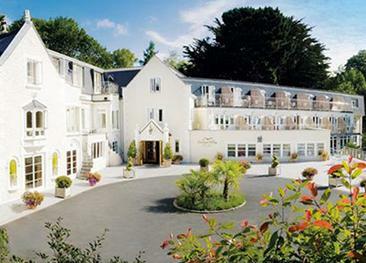 St. Pierre Park is one of Guernsey's premier resort hotels, set in rolling woodlands and gardens and featuring a golf course, a spa and a popular restaurant.